Fly Away Friday is a link-up community for travel related blog posts. Hosted by Chloe from Time Travel Blonde and Kana from Life in Wanderlust; we wanted to create and cultivate a supportive community of travelers. 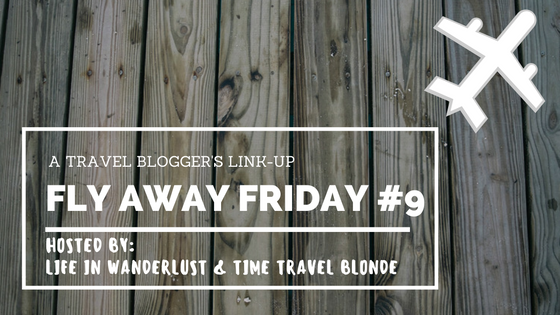 Every other Friday at 9:00AM PST, the Fly Away Friday link-up will open for everyone to share their posts through the weekend until Sunday at 11:59PM PST. Happy Friday, friends! 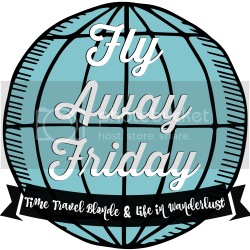 First of all, on behalf of the Fly Away Friday gals, we wanted to say thank you for being so supportive of the change (going from weekly to bi-monthly & taking you directly to the link-up). As a result, we both had much more time to truly enjoy everyone’s posts instead of rushing through them, as well as create more content for our blogs. We appreciate all of you so much, we hope you know that! On a more serious note, please make sure you are following all the link-up rules. When the rules aren’t followed, it’s not fair for other bloggers that do. The whole point of a link-up is to share your post and in exchange, visit and enjoy other’s posts as well. We don’t want to be nitpicky but we also want to be fair and maintain this great community. Have fun, meet new amazing travelers, make friends and don’t forget to come back October 21st! Hey guys! I like that this is bi-weekly now and over the course of the weekend. Now I feel like I can add my link in and do it when I have more flexibility to go and comment on people's blog at leisure and enjoy them more. I am really loving this idea and meeting some of the other bloggers and thanks for the reminders on the rules. I sometimes forget to tag #flyawayfriday sometimes, but with more weeks down I will get better at the habit! :) Thanks for the effort to host this because it is a lot of work! Thanks for hosting! I know doing this is a lot of work. I'd love to join the Pinterest board. My handle is Becoming a Traveling Family. Of course, Allison! Thanks for participating again, we love our community! Hey Kana, thanks so much for hosting #FlyAwayFriday, I love this little community you and Chloe have got going! I also really like it being bi-weekly as it gives more time to interact with the other posts. I'd love to be added to the pinterest board I'm katistravelling over there. Hey Kat! Thank YOU so much for always joining, we really appreciate it - we can't build a community without people like you :) Also, glad you agree with the bi-weekly! Looks lovely! I've just tweeted about this and will join next Friday. Would also love to collaborate on pinterest! My username is notanomad :) Cheers! Hi Monica! You know you can join all weekend, right? :) There's still some time! PS! I found this amazing theme for my blog from somewhere and now I realized it must have been from your blog! Unless someone else had the same theme again. That's a bit awkward haha! I was sure I didn't "steal" it from any of the bloggers with whom I interact, but my memory is like a goldfish from time to time. Ohwell! We both rock it our own way and have our own readers so I hope it won't be a problem between us! Just wanted to put that out there! Not a problem at all! I'm glad you're still around - everyone gets busy so don't worry about it! Hopefully you can join in this coming Friday! I'll definitely invite you on the Pinterest Fly Away Friday board! Don't worry about the theme! Everyone has their own taste even if it's the same layout :) We just have amazing taste, right?